Do you know where this peat stack is? 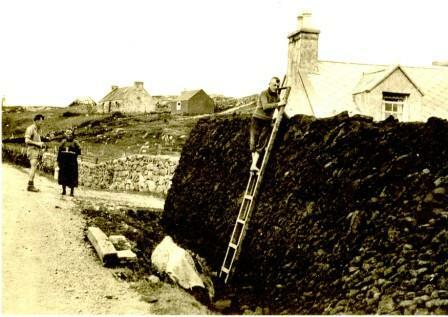 North Tolsta Historical Society has been in touch looking for some help. They were recently sent this photo of a rather marvellous peat stack being built somewhere in Lewis, possibly in the 1930s. The owner of the image knew his father had been camping in the Toslta area in the 1940s but North Tolsta are pretty sure this isn’t an image taken in Tolsta. If you have any idea as to where it may be, let me know on tasglann@cne-siar.gov.uk. North Tolsta would love to know! This entry was posted in Uncategorized and tagged North Tolsta Historical Society, peat. Bookmark the permalink.